Another Korean recipe adopted from Maangchi. My family has tried a few of her recipes, including kimchi fried rice and chapjae. They are all simple and delicious. Here to share another one which didn't let us down. 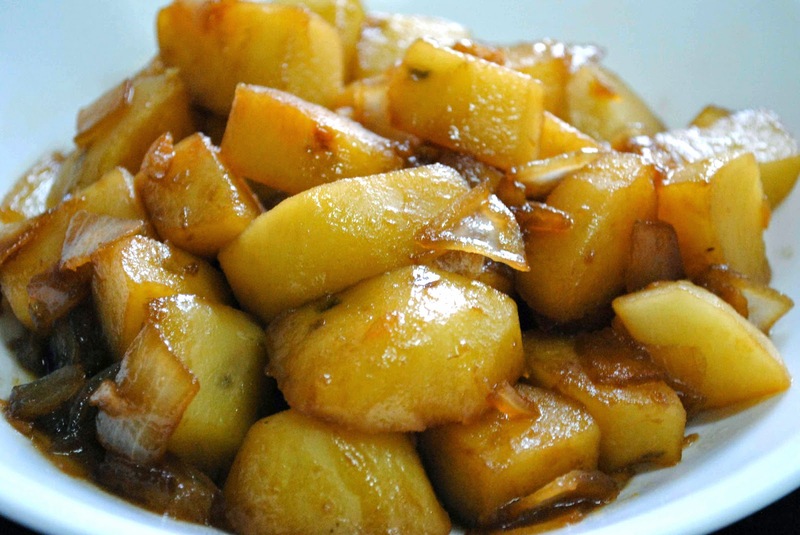 The Korean potato side dish is one of the most popular side dish among my friends when we eat at a Korean restaurant. It always runs out the quickest and fills us up before the main dishes arrive. Now, it can be ready at home in 10 minutes. Recipe and video from Here. - Use Korean style soy sauce and Korean style sesame oil to become a 100% copy-cat. I have used Japanese sesame oil, which still tastes good but leaves a hint of 出前一丁 instant noodles. - Add sesame oil carefully and do not put too much which will mask the flavor. I have added about 1-2 tsp. - Can be served warm or room temperature.